Want a rich, romantic fragrance? Amber and Amber Romance (type) is a signature scent that speaks to intimacy, romance and allure. This is a haunting and seductive blend of romantic amber is warmed by exotic sandalwood. The beginning reveals musk under tones and nuances of black cherry and vanilla. We have included Good as Gold Gift Collection here, as it, too, has rich amber fragrance. Want that great Amber Romance fragrance in an Organic Foaming Wash? You can have both the great properties of Organic cleansing and Amber Romance fragrance. A haunting and seductive blend of romantic amber is warmed by exotic sandalwood. This beginning reveals musk under tones and nuances of black cherry and vanilla. This fragrance is a duplication of Victorias Secret Amber Romance perfume. 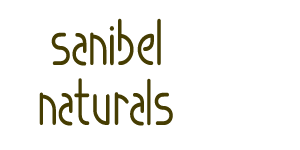 Sanibel Naturals has no affiliation with Victorias Secret. The vanilla content of this fragrance will cause the product to darken to a deep brown over time. This does not affect the product's performance. 8 Ounces. 99% USDA Certified Organic content. Be sure to share your review of this product for 10% off your next order! You're going to feel Good as Gold when this collection takes up residence in your bathroom! Golden Amber is a soft fragrance with musk and sandalwood undertones.The Facial Cleanse is rich in Avocado oil and won't leave your skin dry and tight. The glycerin soap is detergent free and is infused with Amber fragrance. Includes 3 4 ounce bars and a 4.5 ounce jar of facial cleanse. You'll also receive a scoop to keep the facial cleanse contaminant free.